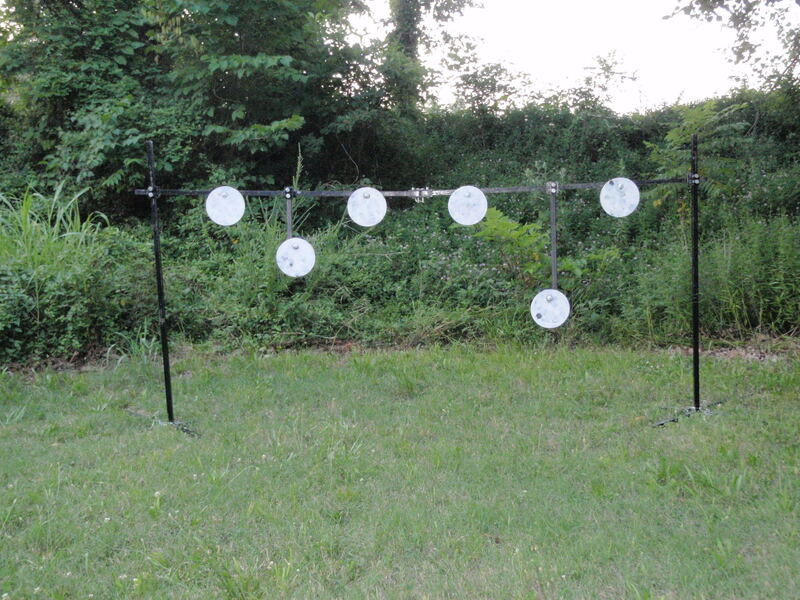 The Poor Man's Plate rack is just that, an economical light weight yet sturdy target system. Plates are adjustable to any position along the horizontal bar and the horizontal bar is adjustable from 6" to 6' from the ground. Another feature is that as many or as few plates can be used on the unit. 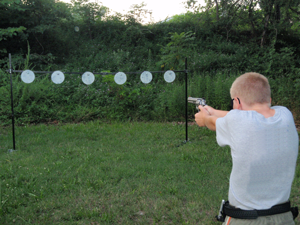 Adjustable center lines allow you to practice different shooting disciplines. Uprights and Horizontal bar are constructed of solid steel bar for years of use. Legs fold up and set up is done with 1 wrench. Can be stored in a small space and easily transported to the range in the back of your truck or SUV.